Could the outrage over Cecil the Lion result in more animal deaths? The shooting of Cecil the Lion made game hunting headline news all over the world. But behind one lion’s death, there is a whole industry of breeding lions for sport. If canned hunting and cub petting is not regulated properly, it will be difficult for Africa’s wildlife to be worth more alive than dead. If I tell you to picture a great African lion, what’s the first image that comes to mind? Wherever you’re from, chances are you think of that iconic scene from The Lion King: golden lions atop a rocky outcrop with the great African savannah below, triumphant and regal. At the very least you’ll think of lions running free on African plains, hunting antelope and taking long sun-drenched naps with their cubs… it’s enough to send many running straight for their nearest travel agent to book a safari. The truth is that this picture hides more than it reveals. ALSO SEECan dehorning rhinos really keep them safe from poachers? Let’s first take a look at the actual number of wild lions in Africa – just seventy years ago there were almost half a million lions across the continent and the Middle East, today there are fewer than 20,000 (although many conservationists agree that number is actually closer to 13,000). Habitat loss, drastic changes to environmental and weather conditions and the growing popularity of big game trophy hunting among wealthy foreigners triggered the plummeting numbers and now the mighty lion is facing the very real risk of extinction if something doesn’t change soon. African conservation has been in the spotlight for quite some time. 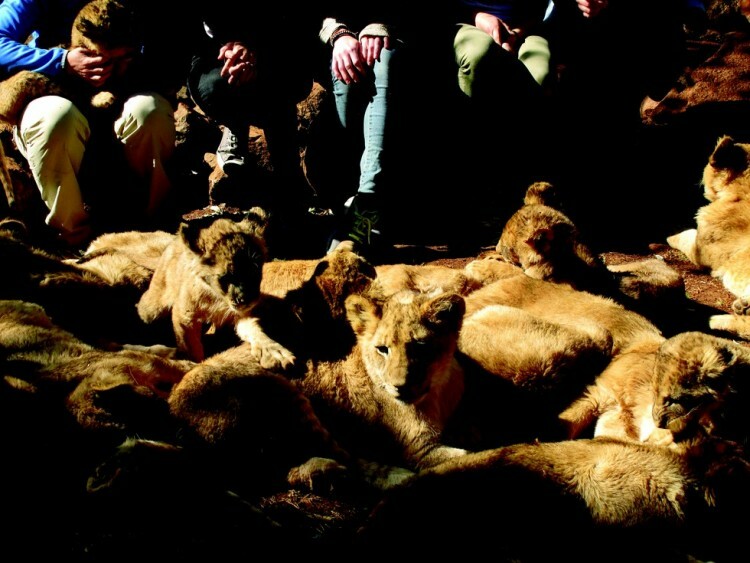 In response to growing global concern for the future survival of Africa’s iconic animals, there’ve been a veritable flood of willing volunteers eager to spend a few months working on a lion farm in Southern Africa, hand-rearing orphaned cubs and helping local conservation in the process. They often pay for the privilege too, around US$2,000 dollars to the hosting organisation for two to four weeks of time mucking out pens, moving around odds and ends, and, of course, hand-feeding and playing with lion cubs. 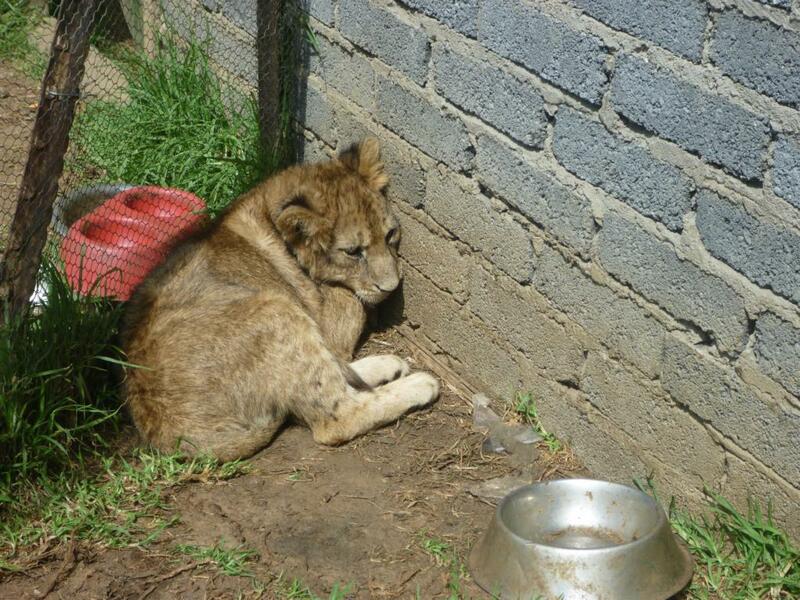 They’re often told the cubs will be sent to zoos and sanctuaries around the world once they’re old enough… often the same story that’s told to tourists who visit lion parks in Southern Africa and pay to pet lion cubs. Unfortunately, most of this is elaborate misdirection. The cubs are often not orphaned but forcibly removed from their mothers as early as three days after birth. This not only allows the lioness to start breeding again immediately but also keeps the supply of cubs for this willing market constant. Hand-rearing the cubs also destroys any hope they have of being released back into wild reserves later on, they’re simply too domesticated and have no survival skills. They’re also kept in utterly deplorable conditions. And when the cubs become too old to pet? 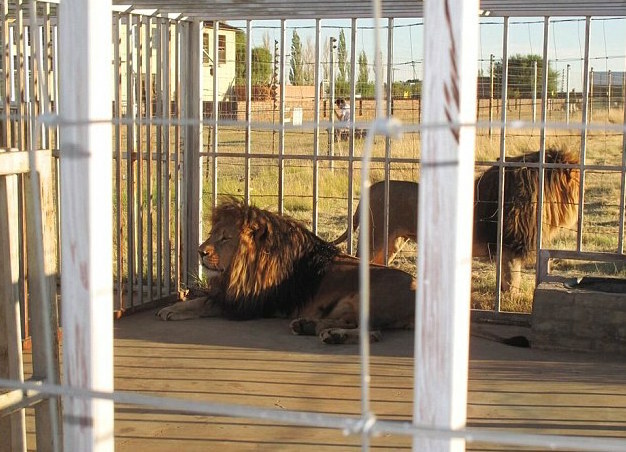 Well, putting it mildly, there aren’t enough zoos in the world to take on that many hand-reared lions. In reality, all of this is done to feed an even more deadly and dangerous beast: the canned lion hunting industry. The canned lion hunting industry is booming too. Worth millions of dollars annually – from only a handful of lion breeders ten years ago, there are now more than 200 of these lion breeding centres spread across Southern Africa. Given the obvious moral quandaries of this practise, why then are these centres thriving and even operating with impunity under South African law when they blatantly violate several international animal welfare statutes? Trophy hunting is an old tradition in Africa dating back to the early 1900s and the idea of the great colonial hunter on expedition. Hunters today are attached to that mythology even though that tradition has grown considerably dodgier: permits are forged; lions in conservation parks are lured out to be shot for sport; and canned lions are used instead of actual wild lions. Still foreign hunters demand a shot at recreating that legacy hunting experience and will pay top dollar for it (an adult male can often fetch more than twenty-two thousand dollars)… so much so in fact that the canned lion hunting industry haD to exist just to meet the demand. What’s worse is that the hunting industry is convinced this is all necessary to support conservation – the money earned is meant to go back into conserving the remaining wild lions – but much of it simply goes back into the pockets of the breeders. Foreign hunters can often find themselves compromised by this. This isn’t conservation in any way. It’s simply animal pimping for the sake of profit, a dirty business conservationists are struggling to put the brakes on. 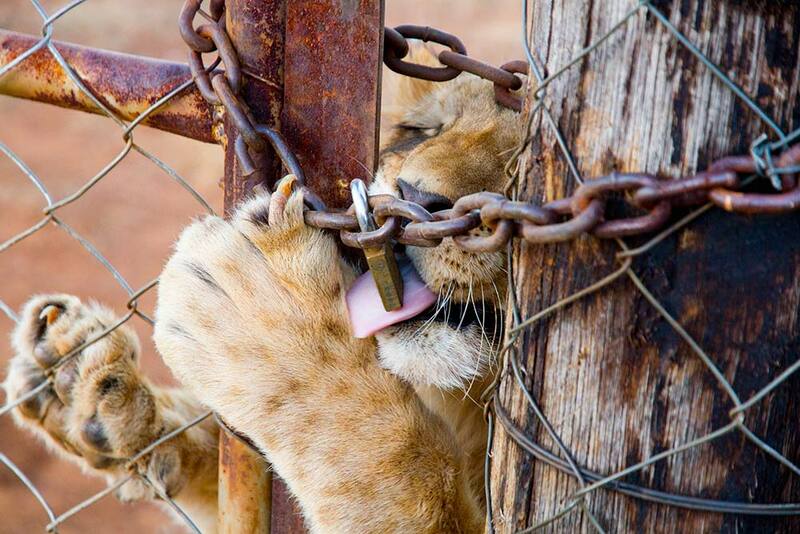 But canned hunting is a lucrative industry which is protective over its own imagined right to operate as it chooses. Foreign hunters can often find themselves compromised by this – sometimes they don’t know where their prizes are coming from, or that lions can be baited into leaving national parks to be legitimately shot on unprotected land. Sometimes they (conveniently) don’t think to ask the right questions. In fact, baiting was the likely modus operandi behind the demise of Hwange National Park’s beloved Cecil the Lion in Zimbabwe last year at the hands of American dentist Walter Palmer, who is still licking his wounds after the international conservation community called for his head, much in the same way he called for Cecil’s. While Palmer is facing global ire for his actions, it’s still business as usual for his fellow hunters who aren’t deterred in any way by the incident… most still believe it is conservation. The ‘Cecil Effect’ is, however, causing many hunters to look elsewhere for their hunting thrills, forsaking Zimbabwe’s more legal hunting options for less known grounds in Africa. 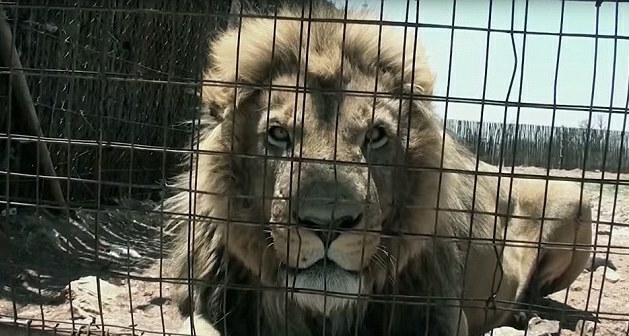 This is leaving neighbouring wildlife parks in the regions with another problem: without enough legal lion hunts (of the non-canned variety, often used in conservation for population control rather than trigger-happy entertainment) their wild lion populations are growing and becoming unsustainable. Some parks, namely Bubye Valley Conservancy, say they may actually need to start culling lions if other organisations can’t take some lions; although many conservation groups believe some of these conservancies are more in the business of making money from pricey hunts, so their concerns might be a touch more biased than they’re letting on. All this complicates the situation even more since many international hunters simply don’t understand the dynamics of African conservation (and how it differs from their own country’s programmes) and so are perplexed by this simultaneous abundance of wild lions and declaration that the species is also in danger of extinction. The lines between conservation and hunting in Southern Africa have become so utterly obfuscated over the decades that it’s difficult to separate the two, especially in the minds of the hunters and those others who’ve spent generations of livelihoods administering ‘exotic’ hunting parties for wealthy foreign hunters. These issues are mired in such murky water that hunter-conservationists won’t even consider debate on the issue, particularly when green agendas of sustainable eco-tourism are used as leverage points. This demonstrates the violent and unreasonable reaction when it comes to debating this issue. Or, rather, lack of debate on this issue… the truth is that until both sides can objectively sit at a table and debate this issue with both respect for the past and the future of the species in mind, little can be done to end canned lion hunting. This will hopefully be one of the issues debated at September’s CITES (the Convention on International Trade in Endangered Species of Wild Fauna and Flora) conference conveniently being hosted by South Africa. Along with the critical issue of whether or not to legalise the trade in rhino horn, canned lion hunting will also find itself in the firing line – the future of the practise might likely hinge on whether, as in many cases of wildlife conservation in Southern Africa, money and influence end up talking louder than common sense.